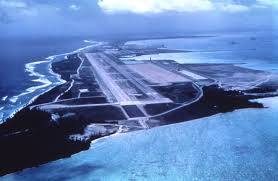 Diego Garcia is a tropical, footprint-shaped coral atoll located south of the equator in the central Indian Ocean. It is part of the British Indian Ocean Territory, but now under US Control under lease from UK. The American military base on the island of Diego Garcia is one of the most strategically important and secretive U.S. military installations outside the United States. Located near the remote center of the Indian Ocean and accessible only by military transport, the base was a little-known launch pad for the wars in Iraq and Afghanistan and may house a top-secret CIA prison where terror suspects are interrogated and tortured..
Is it possible for MH 370 not tracked by USA’s most sophisticated technologies on earth in Diego Garcia if in fact MH 370 was flying to the Indian ocean?